Established in 1995 our manufacturing offers outstanding on-time and complete service levels, with over 40 years of manufacturing experience together with an in-house research and development innovation team. We offer a broad range of services to our clients, this include Product Development, Packaging Consulting, Product Placement, Inventory Management, Distribution and Logistics, Manufacturer Sourcing. We can take your products to major retailers. Alliance Consumer Products will present your products to key buyers at major retail chains. Having been in the business for many years, we understand the buying “cycles” of the major retailers and can help you plan your marketing accordingly. Joe Rahm brings over 30 years of international manufacturing, marketing an distribution of consumer products to the retail marketplace. He has traveled extensively throughout the USA, Mexico and China working closely with the factories to manufacture dozens of products. Joe has been involved with the design, development and sales to the majority of the largest national and international retailers. As Logistics Manager for Alliance Consumer Products, Marta manages the day-to-day processes and all that is involved with product supply, order receipt to fulfillment and forecast analysis. She works closely with manufacturing and our customers to ensure 100% order fulfillment and on time delivery of all orders. Prior to joining ACP in 2005, Marta worked as a Demand Analyst and Account Specialist for the Dial Corporation where she managed major accounts in the grocery and drug channels, K-Mart, Costco, Sam’s Club, Target, Wal-Mart and Wal-Mart Canada. While building successful relationships with a broad range of retail customers she gained invaluable insight into their order systems, processes and business practices. Plans and implements sales, marketing and product development programs, both short and long range, targeted toward existing and new markets. Develops and implements strategic marketing plans and sales plans and forecasts to achieve corporate objectives for products and services. Develops and recommends product positioning, packaging, and pricing strategy to produce the highest possible long-term market share. Establishes and maintains relationships with industry influencers and key strategic partners. Directs staffing, training, and performance evaluations to develop and control sales and marketing programs. Meets with key clients, assisting sales representative with maintaining relationships and negotiating and closing deals. Coordinates liaison between sales department and other sales related units. Assists other departments within organization to prepare manuals and technical publications. Prepares periodic sales report showing sales volume, potential sales, and areas of proposed client base expansion. Reviews and analyzes sales performances against programs, quotes and plans to determine effectiveness. Directs product research and development. 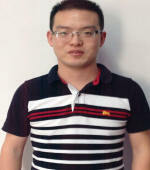 Jack is Alliance's liaison with our producing factories in China. His expertise lies in product development, manufacturing, shipping procedures and policies. Jack facilitates business for Wal-Mart, Home Goods, Bed, Bath and Beyond, Family Dollar, Big Lots, Ross and Five Below. Jack's knowledge of manufacturing processes and the factories as well as his familiarity with our clients and their procedures makes him a valuable resource and an invaluable Alliance Consumer Products team member.